The perfect solution for any occasion. Every Wednesday, you're invited to join us for a set menu dining experience at the banquet hall. Ideal for parties and get togethers with your family and friends! For just $30, you will enjoy mezzes and fried fish, as well as live in-house entertainment by Koko Hayitian. 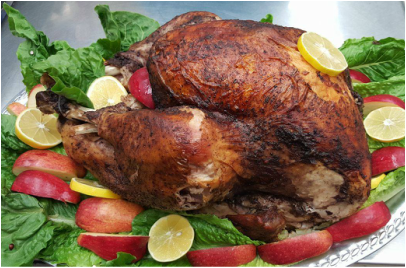 Order your Holiday Turkey from Kavar! Available through the holiday season. Our homemade Turkey comes with stuffing and Kavar's famous rice pilaf, for just $100.